I know everyone is raving about the Instant Pot and the Air Fryer right now, but I’m still in love with my old school slow cooker. Slow cooking allows me to leisurely prep my meals in the morning when the little ones are occupied and then set it and forget it until dinner time. Also, this past summer was so incredibly hot that the last thing I wanted to do was turn on my oven, so I’ve been searching through Pinterest for some of the best recipes to try out. 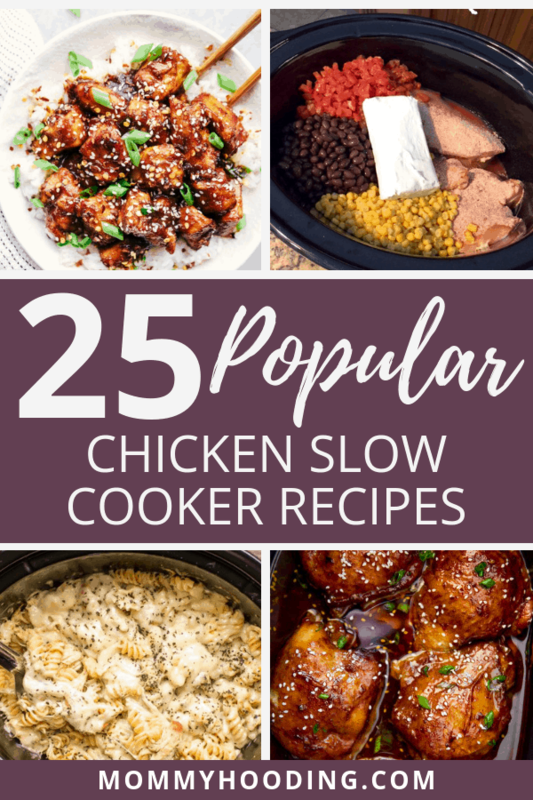 These 25 chicken slow cooker recipes are some of the most popular recipes on Pinterest (some have been repinned 60k times and more!). Be sure to pin this most for later reference, because these are 25 no fail recipes your whole family will love. And there you have it! What is your favorite chicken slow cooker meal?